Places an emphasis on detailed derivations based on the fundamental laws of physics and interpretations of the resulting formulas. Avoids, where possible, electrical and mechanical equivalent circuits, so as to make it accessible to readers with different backgrounds. Contains a set of appendices which includes material on signal analysis and processing as these tools are essential for the modern acoustician. Currently an Associate Professor in the Department of Electrical Engineering at DTU, Dr. Jacobsen has more than twenty-five years’ experience of teaching acoustics at MSc level, and more than 15 years’ experience of teaching fundamentals of acoustics at undergraduate level. He was Associate Editor of Acustica united with Acta Acustica from 1995 to 2003, and section leader of the Handbook of Signal Processing in Acoustics (Springer, 2008). 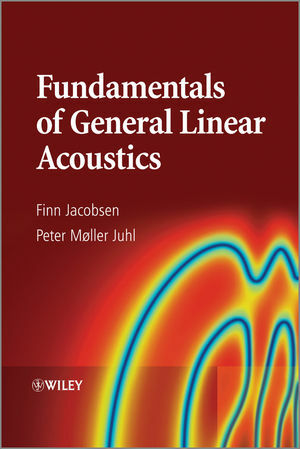 He has also contributed 6 chapters in various handbooks on acoustics; published approx. 90 journal papers and more than 100 conference papers. Dr. Juhl is currently an Associate Professor at the Institute of Technology and Innovation, University of Southern Denmark. He teaches both undergraduate and postgraduate courses in the field of acoustics which range from quite elementary acoustics and signal analysis for students of audiology to basic and advanced acoustics for engineering students as well as courses on mechanical vibrations and numerical acoustics. He has also taught basic courses on physics for both engineers and physicists.